With a large selection of Hatteras Island beach vacation homes, from oceanfront to soundfront, Hatteras Realty makes it easy to find the perfect beach vacation home at the right price and with the right amenities. Whether you are lured by the world class fishing or the east coast's best beaches, Hatteras Island has plenty to offer: beach-combing, swimming, kiteboarding, and fishing exist around nearly every corner. Cast your sights on over 70 miles of pristine Cape Hatteras National Seashore. 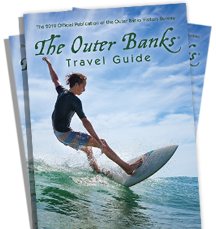 Hatteras Island is simply a one of a kind place and Hatteras Realty is a one of a kind Outer Banks vacation rental company. Need a shorter getaway? Many of our homes and condos accept partial week bookings. Their three convenient, full service offices in Hatteras, Avon, and Waves are staffed with eager and knowledgeable Hatteras Realty professionals seven days a week. Experience the Club Hatteras Advantage with their exclusive resort amenities at no additional charge. Pet friendly homes and partial stays for shorter getaways. Call or click to book your beach vacation today!